In Fairfield County, Connecticut, people of all ages can benefit from thinking ahead and making plans for the future. If you are concerned about your own destiny, if you care about protecting assets, or if you have anyone counting on you, you must ensure that you have made advanced plans to weather storms that may arise due to life’s uncertainties. Nirenstein, Horowitz & Associates can provide the help that you need to use Connecticut legal tools to your benefit. Clients throughout Fairfield County trust our legal team to help them make the plans they need to maintain autonomy, provide for loved ones, and accomplish future goals no matter what life throws at them. Give us a call today to find out about the services and assistance we can offer you in estate planning, legacy planning, incapacity planning, asset protection, and so much more. Fairfield County is the most populated county within the state of Connecticut, with close to 950,000 residents. Fairfield County is the southwestern-most county in Connecticut and it is home to some of the state’s biggest cities, including Bridgeport, Norwalk, Stamford, and Danbury. The population of these four cities alone accounts for close to half of the entire population of all of Fairfield County. Within Fairfield County, the so-called “Gold Coast” is considered on of the wealthiest places in the entire United States. The Gold Coast has been featured in movies and television shows going back decades, including Mr. Blandings Builds His Dream House and the Stepford Wives. The Gold Coast ranks sixth in the United States in per capita personal income, and it is this area of Fairfield County which has helped to make Connecticut one of the wealthiest states in the country. For those with substantial wealth, effective asset protection and estate planning are both absolutely essential. Fairfield County spans a total of 837 square miles, and 25.3 percent of the county is water. Fairfield County has hilly terrain and the county also has the Berkshire and Taconic Mountains running through it. These ranges of the Appalachian Mountains create scenic views in areas of Fairfield County. Fairfield County is adjacent to Suffolk and Nassau Counties in New York, as well as adjacent to Westchester County in New York. There are a substantial concentration of hedge funds and investment management firms located within Fairfield County, including Bridgewater Associates, which is one of the largest hedge fund companies in the world. The median income in Fairfield County was more than $80,000 per household as of the 2010 census. The crime index in Fairfield County is very low. We serve the following cities in Fairfield County as well as all the surrounding communities. If you live in Fairfield County we can help you. The Connecticut government maintains a list of senior centers by town, which seniors and their family members can use to find local services within their area. The Southwest Connecticut Agency on Aging and Independent Living also offers a resource guide to Fairfield County, CT for the aging and the disabled. Details are provided on respite programs for caregivers; home care programs for seniors; regional offices for the Connecticut Department of Social Services; meal sites for seniors; elder abuse domestic violence services; geriatric centers; and much more. Seniors should take advantage of local resources available which help them receive medical and dental care, which provide protection from abuse, offer nutritional assistance, and otherwise support their needs as they age. Fairfield County seniors should also take advantage of legal resources available to them from experienced estate planning attorneys so they can create a sound plan for their own future and for the future of loved ones. Caring.com has identified 46 nursing homes in Fairfield County, CT with an average nursing home rating of 3.7. Identifying the best nursing home environment for seniors can present challenges, as can paying for the high costs of nursing home care. Many seniors and their families can benefit from making plans and provisions in advance in case nursing care ever is needed. If you work with a Fairfield County nursing home planning lawyer, you can do research in advance, avoid making decisions in a rush if a medical emergency happens, and ensure nursing home bills can be paid for without your life savings being spent on care. With proper estate and incapacity planning, going to court may not be necessary. Guardianship proceedings can be avoided through making an incapacity plan so families do not face the stress of legal proceedings at the time of a medical emergency. Estate planning can also facilitate the transfer of assets outside of probate to save time and money and avoid stressful legal proceedings following death. In certain circumstances, however, probate, guardianship, trust administration problems, and other estate-related issues can result in a need to go before a judge. When estate matters arise in Fairfield County, they are addressed in the Fairfield County Probate Court. The Fairfield County Probate Court presides over probating wills; estate administration; overseeing testamentary and living trusts; determining title to property; interpreting wills and trusts; guardianship and conservatorship proceedings; adoptions; emancipation of minors; termination of parental rights; and more. 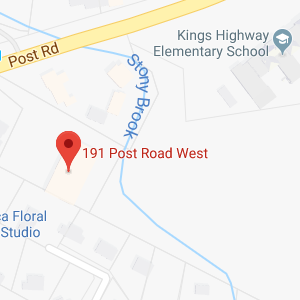 The probate court is located at 725 Old Post Road, Fairfield, CT 06824. The court may be reached via telephone at 203-256-3014. If you must go to probate court for any reason, our Connecticut probate and estate attorneys can represent and advise you during the legal proceedings. 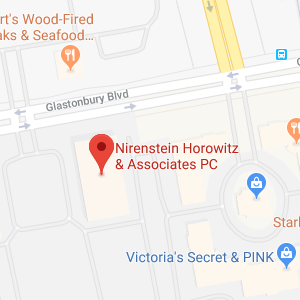 Fairfield County residents trust Nirenstein, Horowitz & Associates to provide help with nursing home planning, asset protection, retirement planning, incapacity planning, and many other important legal matters. Our attorneys know that preparing for your future and protecting your family are top goals and we provide the advice you need to achieve your dreams and create security for yourself and the people you love. To learn more about making legal tools under Connecticut law work for you to create a more secure future, give us a call at 860-548-1000 or contact us online to speak with a member of our legal team.